The last regional leg of the Nationwide Payroll and Personnel Verification Audit (NPPVA) of workers on government’s payroll has begun in the Greater Accra Region. 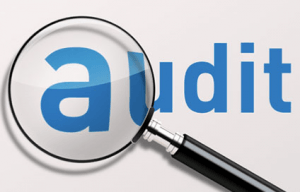 The special audit, which would cover 78,000 government workers in the region, starts from December 12 to 19, and forms part of Section 16 of the Audit Service Act, 2000 (Act 584). Registration centres include all Metropolitans, Municipal and District Assemblies; Office of the Senior Minister, the Electoral Commission head office, the Ministry of Gender, Children and Social Protection, and the Ministry of Finance Annex. Others are the Greater Accra Regional Coordinating Council, the Accra Metropolitan Assembly Octagon Hall and the Ghana Irrigation Company Head Office. There would be a centre each at the Tema General Hospital, the Princess Marie Louise Children’s Hospital and the Ridge Hospital; while the Korle Bu Teaching Hospital would be having six centres. All government workers are required to produce original copies of documents such as biometric registration receipt, the Social Security and National Insurance Trust (SSNIT) biometric card, recent payslip, first appointment letter or the last promotion letter and genuine academic certificates. Others are two identification cards – passport, driver licence or voter ID Card. Nurses and midwives are however, required to come along with their valid pins. Speaking at the launch of the Greater Accra enumeration, Mr Daniel Domelevo, the Auditor-General said the NPPVA was being carried out to clean-up the country’s public payroll. He appealed to all Ghanaians to help the Audit Service to ensure a clean payroll system in the country, saying that “Help us to make corruption unattractive in Ghana and in this case a clean payroll,” he stated. He noted that after the exercise, the Audit Service would write to the Head of Departments of government workers who were found wanting; to formerly inform them. He said the Head of Departments would be given 30 days to response to the letter; stating that, after the 30 days, “if my outfit does not receive any clear explanation, the Head of Department would be surcharged to ensure that separate staff (the dead, retired and dismissed staff) was removed from the payroll”. He said all public universities and institutions on Government’s subventions would form the second phase of the special audit. Mr Domelevo urged staff of the Audit Service to be firm and resolute in the discharge of their duties. “Be bold and do your work well. Fear not, I am with you as far as this work is concerned. If you should do your work well and there is a challenge against you, the first person who would go is myself, not you……but if you go and accept bribe, I am not with you,” he said. He cautioned Government workers against changing their dates of birth to remain younger. Mr George Swanzy Winful, the Deputy Auditor-General said the NPPVA was a value for money exercise. “At least whatever would come from this exercise would take us on the right route towards nation development,” he said. He said there would be a mop-up period for the NPPVA exercise from December 19 to 21. Mr Eugene Asante Ofosuhene, the Controller and Accountant General, lauded the Ghana Audit Service for undertaking the exercise, adding that, he was happy his outfit was part of the regional trips organised by the Auditor-General’s team. He said over the last eight years, the Controller and Accountant General’s Department, in collaboration with the Ministry of Finance, embarked on certain major projects aimed at establishing improved systems for the management of public funds. He said in line with this system, the Department had been working very hard and progressively employing ICT as a tool for improving service delivery; stating that, “notably among these interventions include the introduction of the electronic voucher payment system and the e-pay slip system”. Mrs Janet Ampadu, the Chairperson of the Public Services Commission, said the exercise would help get a cleaner data base from which the Government’s budget would be driven. Mr Ishmael Ashitey, Greater Accra Regional Minister said the exercise would ensure that genuine people with the right requirements were employed by the Government. He appealed to all and sundry to support the Audit Service in conducting the special audit. The post Auditing of government workers payroll comes to Greater Accra appeared first on Ghana Business News.